Sacred Heart University Tartan Silk Bow Tie. Adjustable to 18". Dry Clean. Made in USA. 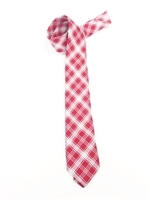 Sacred Heart University Tartan Silk Tie. Measures 58" x 3 1/4". 100% Silk. Dry Clean. Made in USA. Perfect for special events, game day, church, reunions or any day you want to feel your university pride! 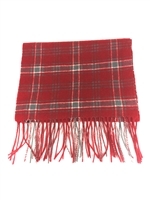 Sacred Heart University Tartan Cashmere/Merino Wool Scarf. Measures 77" x 12" plus 4" fringe. Dry Clean. For men and women in the popular length for knotting around the neck for style and warmth. 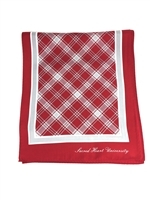 Sacred Heart University Tartan Silk Scarf. Measures 10 1/2" x 66". Dry Clean.